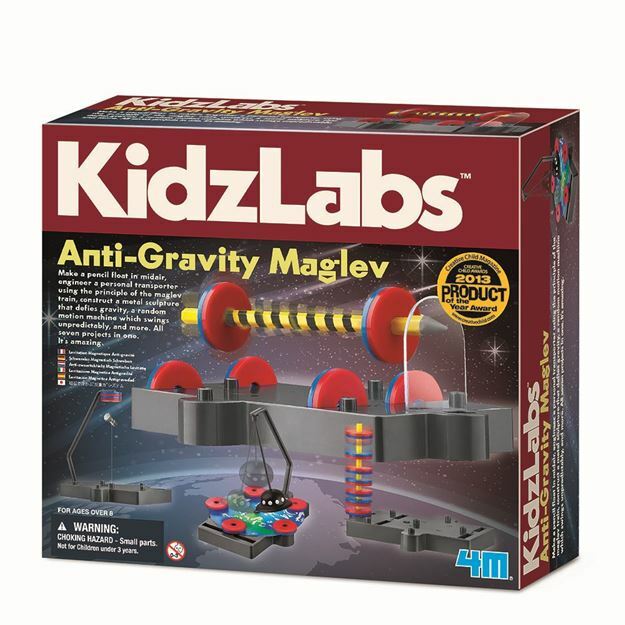 Teach children about the invisible power of magnetism with the 4M Anti Gravity Magnetic Levitation Science Kit. This science kit teaches kids about magnetic force through several fun, hands-on experiments. Experiments include floating a pencil, levitating a screw, building a maglev, and more. Incldues: a graphic template, rods, stickers, UFO body, 7 magnets, weighing pan, accessories and detailed instruction. Required: adhesive tape (not included). Age 8+ years. Part of the KidzLabs range. Distributed in New Zealand by Holdson.